I have to say, Chateau Lake Louise which positioned within The Canadian Rockies (only just might I add) is a breathtaking hotel to visit and get married in. This hotel like most other hotels in this area will leave you and your guests speechless. You will love the experience if you select this location for your wedding day or family shoot. Driving up to Lake Louise is an excellent experience in itself. Twisting up the road, you will view Mount Temple with its awesome hanging glacier. Once you arrive at the main parking area or pull up to Chateau Lake Louise within a couple of minutes of walking you will experience gorgeous views. Seriously stunning views with the spectacular Victoria glacier located at the back of the lake. The Fairmont Chateau Lake Louise jaw-dropping location with this lake on its doorstep will not disappoint you for your ceremony! The vividness of the lake gives photographic opportunities that will leave you with wedding photographs wondering if your wedding day was real. Within a couple of minutes walk from The Fairmont Chateau Lake Louise Hotel you are welcomed by the trees, lots of evergreen trees. The densely wooded area offers a very different feel to your photography shoot altogether. No matter how stunning Lake Louise is, take some time in exploring the wooded areas. I believe you’ll be delighted and happy you did. A little drive from Lake Louise, you will find Moraine Lake set within The Valley Of The Ten Peaks. It is (in my opinion) worth booking enough time to drive to explore this area for your wedding if you’re getting married at Chateau Lake Louise itself. With this said, please make sure sufficient time be given to drive from the hotel and back. Allow around 20mins each way in the motor car. It’s only around 14km but it’s a slow drive – a simply gorgeous drive but a slow one. Once you arrive at the car park area of Moraine Lake, you’ll have to walk up the pile of rubble to see Moraine Lake in its full glory. Great times to view the lake are mid summer to late summer. Early in the year, the lake is rather low (in volume) so don’t expect to see the lake in its full glory early season. Once the lake is full (in volume) there truly isn’t a wrong time in the day to see the lake. It’s gorgeous. Like all brides and grooms, you hope for a gorgeous wedding day. And like all mountain weddings, weather can affect your day. Don’t allow it! Nobody can do a thing about the weather, but still, if the clouds are low and the glacier is hidden, I take every opportunity to capture beautiful photos of your wedding day. Despite being in Calgary, I often travel to Lake Louise and know the locations that offer spectacular wedding photography in any weather. Ok, what about if it really really does rain? First of all, I’m cool about getting soaked! Are you, this is the question? Rain won’t stop me. I’ve photographed at the summit of Kicking Horse Mountain Resort when it’s pouring with rain. Frankly, it poured with rain during the whole ceremony and then some. Furthermore, I’ve photographed at Kicking Horse when it was -36 deg cels. Now that was cold! So, if you’re concerned about me as your wedding photographer getting wet, don’t be. My question to you is, how far can we go in getting wet. Are you prepared as I will be. We have now explored all the outside, and beautiful areas in the rain and know it’s time to head indoors for those fantastic interior creative photographs. What about the terrible lighting within the hotel. Awesome, I’ve my own lighting gear, so I’m not worried at all about any lighting situation. So many Lake Louise wedding photographers photograph with the use of flash, but it looks awful. Many just don’t understand lighting and shouldn’t call themselves professional – even though they do! I can guarantee you that hardly any wedding photographer understands flash the way I do. My very first wedding I ever photographed at Lake Louise was during the winter. The lake was frozen, and I have to say it was beyond memorable for me (all good memories might I add). Not much snow had fallen that year, but the night before the wedding, the snow clouds rolled in and handed us the perfect wedding day photos. 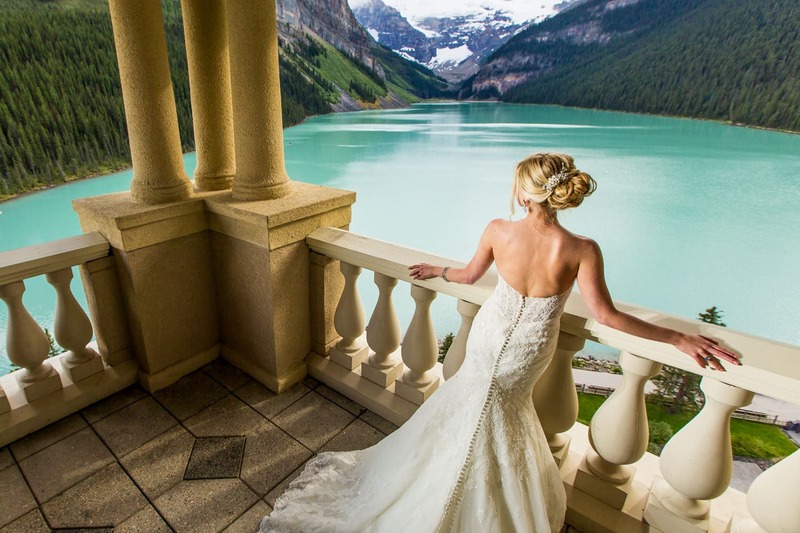 Don’t be shy about celebrating your wedding during the winter at Chateau Lake Louise. Just remember, there are two seasons in The Canadian Rockies. Summer and Winter and both are gorgeous. When you are dropping thousands of dollars on this spectacular location to get married, why finish your special wedding day off with an average wedding photographer. 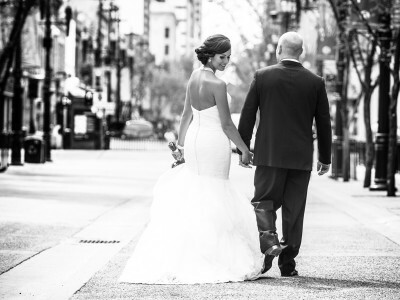 Pick an outstanding Lake Louise wedding photographer, like me, who is based in Calgary and is geared up to make the drive to Lake Louise to blow you away with incredible photos. As mentioned, I am located in Calgary, however, driving to Lake Louise to photograph your engagement photography session isn’t a problem at all. Just contact me to chat further about your plans. 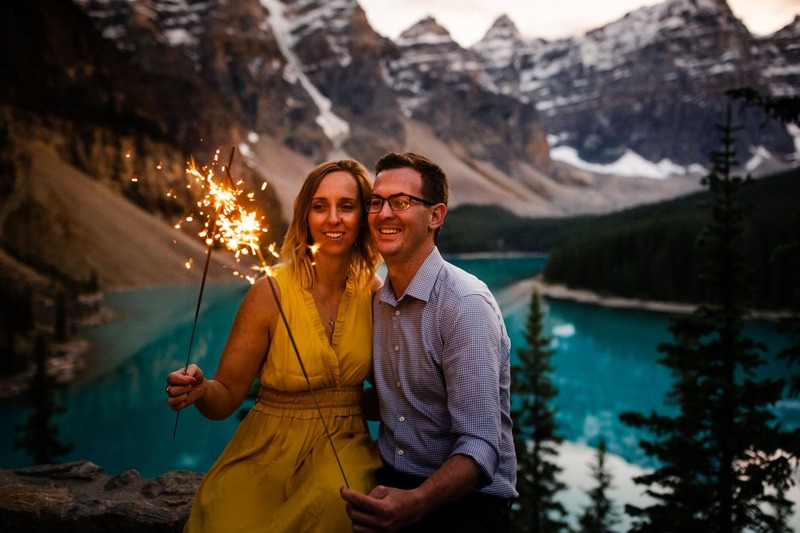 Just keep this in mind, the crystal clear blue waters of Lake Louise and the majestic mountains, make the perfect backdrop for your Lake Louise engagement photo shoot. 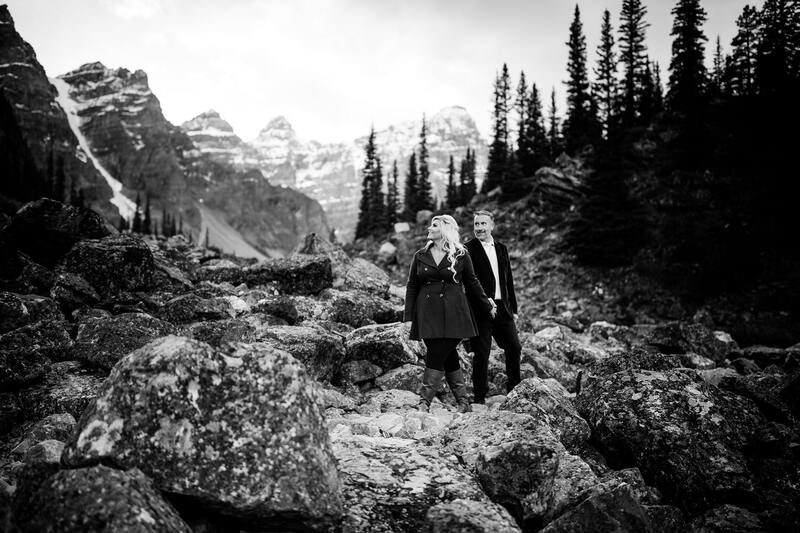 Let’s get together to chat about your exceedingly exciting Chateau Lake Louise wedding plans or engagement shoot.